Veronica's Rose by Melissa Green. Somehow my square in row 9 is not completely in line, in the right corner I think I may have stitched into a wrong loop and thus not gotten a perfectly straight line, but other than that I really liked this square too. 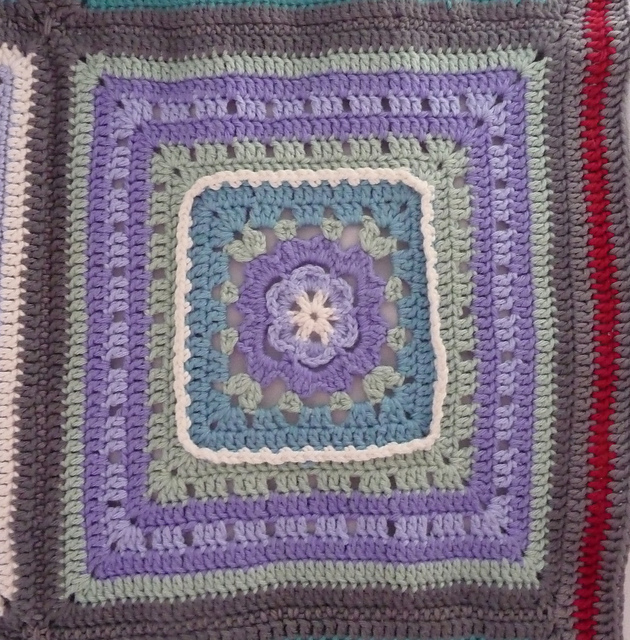 It was fairly easy, but not too easy, I had to think and redo some of my rows and so it was more interesting than some. 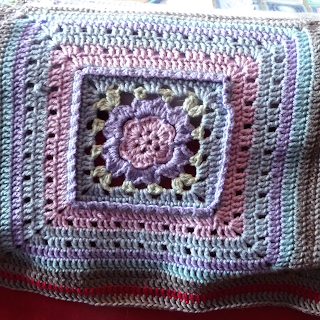 But with this cal there is the perfect match between a breeze, putting your thinking cap on at times and brain twistingly hard which meant I could do the easier ones while with company and the harder ones when I wanted a challenge. And some were indeed a challenge. 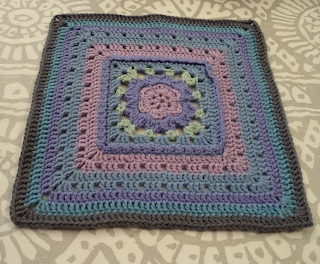 I think we might soon come to the point were I gave up on a square for the time being to crochet some of the easier ones, I think that was when I ran out of the medium purple and did more dark colours for a time. Even with adament blocking that dent did not come out. 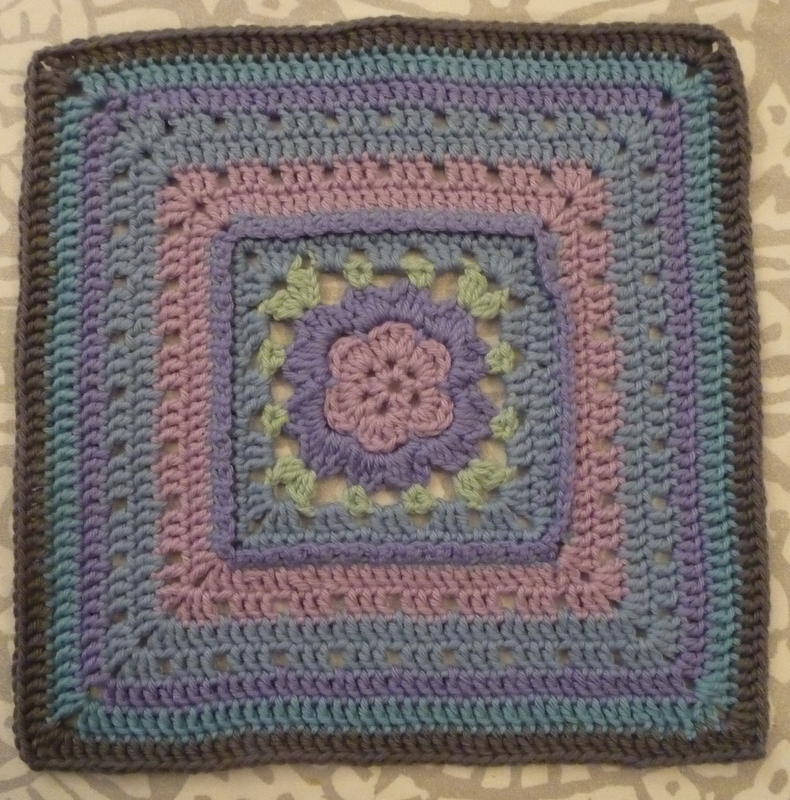 Although the centre was a bit harder the rest of the square was a breeze so I think I did this in about four hours same as most squares. 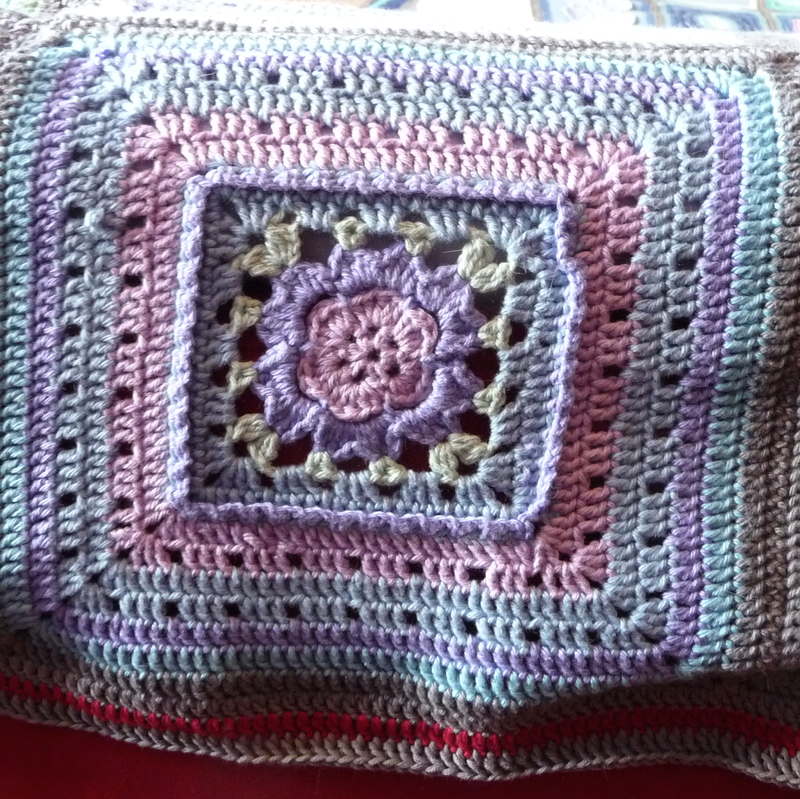 It weighed 33 grams and measured 21x21 cm. 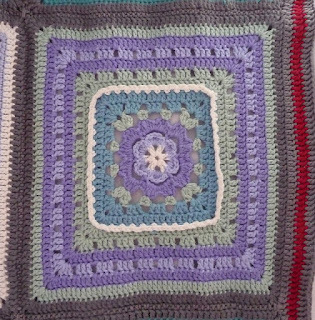 I like how my green row makes the centre feel even more like a flower and I tried to use some of the more rose-coloured colours from what we had and I think it does look a bit like a rose. 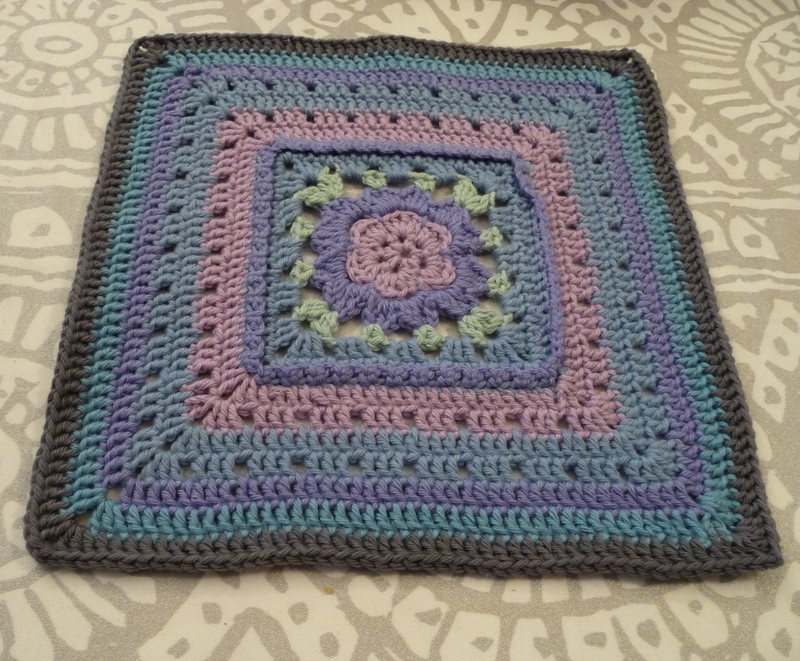 I would love to make another Veronica's Rose in pink and purple palette. Interestingly again we have used a lot of the same colours.